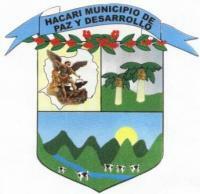 Hacarí is a municipality in Norte de Santander Department. It was founded on 2 August 1780. 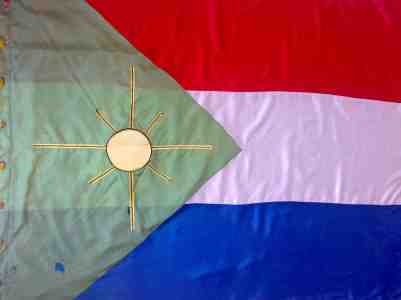 The flag of Hacarí is horizontally divided red-white-blue with green triangle at the hoist.. The triangle is charged with yellow stylized sun with eight rays (four longer in shape of cross and four shorter in shape of saltire).